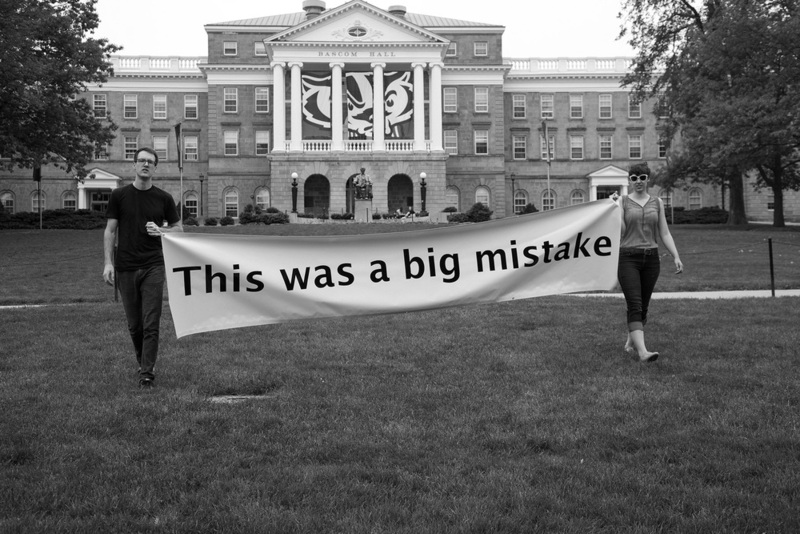 In this mock protest, artists Grant Gustafson and Samantha Lasko walked from UW Madison's Bascom Hall to the Wisconsin state capital carrying a 13 foot vinyl banner that read "This was a big mistake". 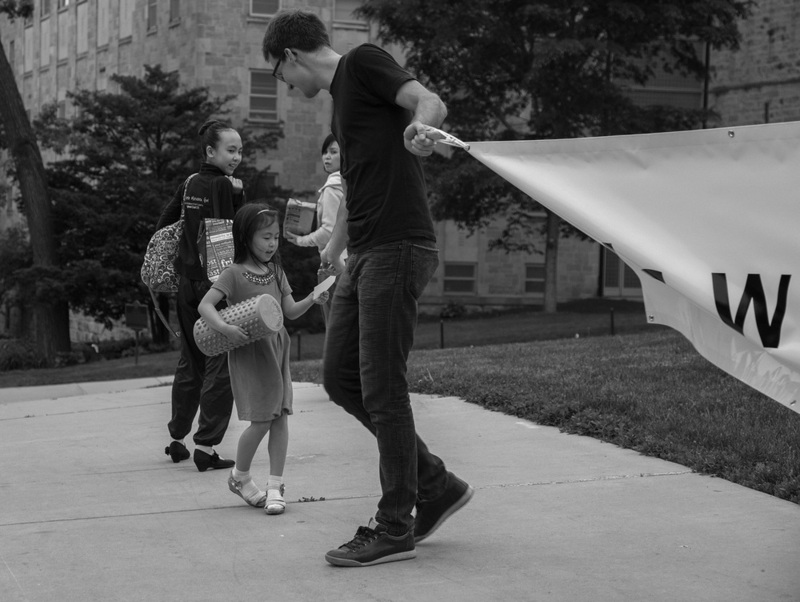 By carrying a banner that used the tone of a protest, but lacked the objective, Grant hoped to spur a moment of pause and reflection in those who saw the performance. 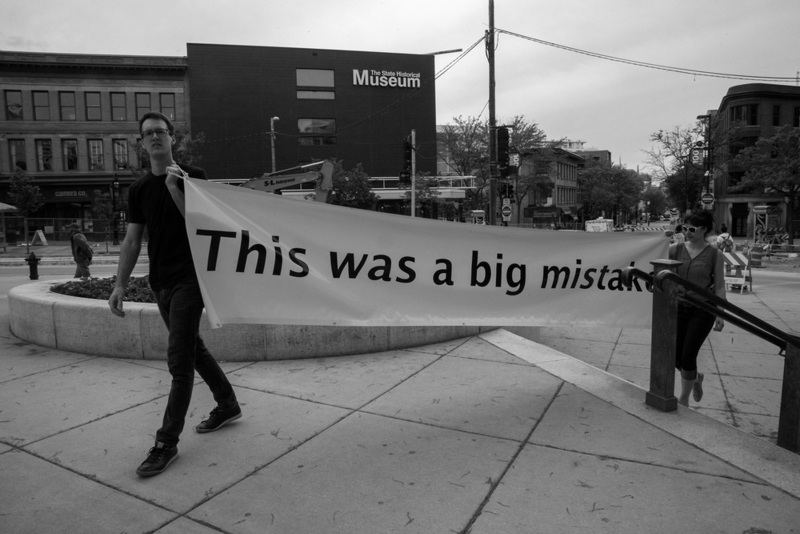 What was a big mistake? 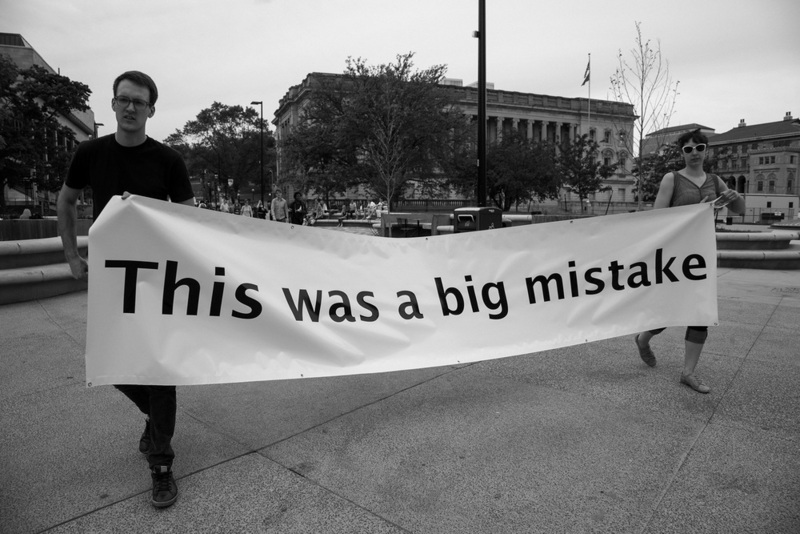 What is a big mistake? Have we made a big mistake? Are we making a big mistake? 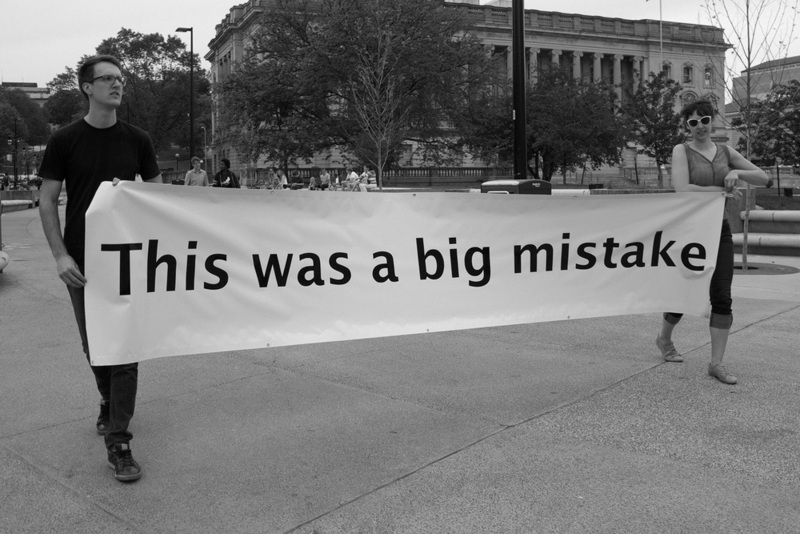 When was the last big mistake? When is the next big mistake? Is there an end to big mistakes? Was there a beginning to big mistakes? Can we hope to not make big mistakes? Do we hope to not make big mistakes?